The Queen’s granddaughter and equestrian, Zara Phillips, spent the festive season in Australia with her husband, rugby star Mike Tindall, and their one-year-old daughter, Mia. 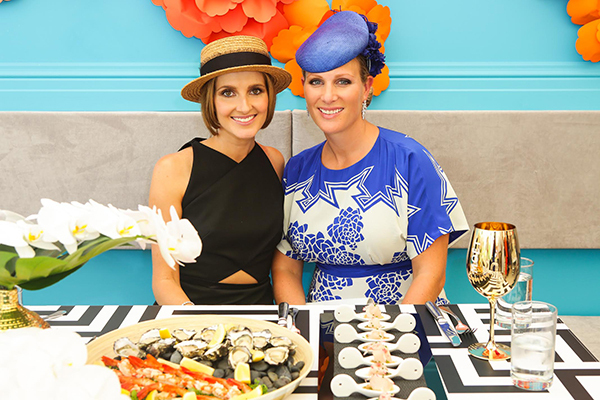 Phillips, 33, visited as part of her role as patron of the Magic Millions Racing Women. She chatted to me about motherhood, returning to the Olympics and the Queen’s great-grandmum duties. The Magic Millions race day, Katie Page-Harvey [its co-owner] and her initiative of women in racing: trying to get more women owing racehorses … and trying to get more women-owned syndicates. You attend races all around the world, including Ascot. What is the biggest difference between horseracing in Britain compared to the Magic Millions? It’s very relaxed here. Obviously, the heat is a very different thing, altogether. Wearing heels in this heat is definitely the hardest thing to do! But yes, it’s a very different atmosphere. It’s fun, it’s relaxed. It’s a very different style of racing, so it’s always interesting to go to the different tracks. What have you been doing while in Australia? I’ve been here a month. We came down for a friend’s wedding in December and then there was no point going home. So we spent Christmas and New Year’s here with just friends in Sydney. It has been really good because Mia is one, so being able to be out in the sun and go to the beach has been really good for her. Last time we chatted you weren’t yet a mother. Are you enjoying motherhood? I was really surprised, actually. I really enjoy it. I think the worst thing, when I was pregnant, was a lot of people would come and tell you the bad stories – and of course there are dramas, but it has been great. I’ve actually loved it. I think I’ve been very lucky. She’s been a good baby. She has just fitted in. 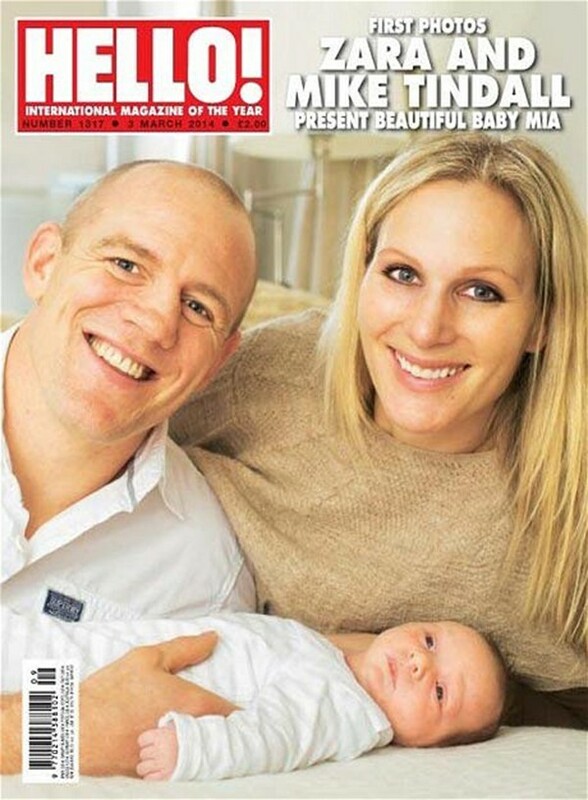 Zara with her husband Mike Tindall and their daughter Mia. What has been the biggest change since becoming a mother? Is Mike a hands-on dad? Yes, he’s really good. He just retired the last season so it has been really good to have him around. I went back [to] riding. So it was a great help as well, with him being around a bit more, to be able to do that. He’s great. I totally trust him with her. Is he good at changing nappies? Yes, he’s very good at changing nappies. And what about your grandma? Does she ever do babysitting duties? No, no – she’s got four great grandkids now. So she just loves having the grandkids around [and] great grandkids around. She loves having family together. Does she attend many playdates with Prince George and Mia? Yes. Family time is very precious to her. So we’ll try and get everyone together and make sure that she sees everyone. I get up and I sort Mia [out]. Then, if Mike is around, I might try and go and ride while she has a sleep and come back after. I’m very lucky because I’m essentially self-employed. I can go and do some work, come back, so it’s very flexible. But [I] try and get some [equestrian] training in for myself. Do you plan to compete in the Rio Olympics? Hopefully. That’s the kind of next step. We’ve got European [events] this year – we’ve got to qualify. I’ll try and keep the four-legged person in one piece and see what happens. 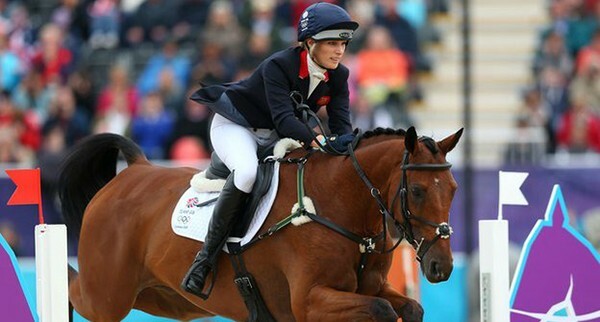 Zara competing at the Olympics. When you come to Australia, do you get recognised everywhere you go? Mike gets recognised before me, actually! Because he is taller and everyone recognises the bent nose [laughs]. And then they’ll like see him and then they’ll like look for me. It’s not too bad. It depends where you are, which is a little bit same at home. Can you lead a pretty normal life back home? Yes. We live the country so it’s much easier. You are very approachable and grounded, but do people have a misconception about you and get intimidated by you being a royal? Yes, I think so. I mean, I guess it’s different for me – I’m not doing official things the whole time. At the end of the day, everyone is a person. I’ve been lucky: my brother and I have been brought up without titles and had a very normal upbringing. That’s thanks to my mum and dad. So my parents hopefully did a good job. Will you raise Mia in a similar way? We’ll try, yeah. I guess now, it’s trying to do the same for your own child. It’s nice to kind of go back and remember what your parents were doing with you and what your childhood was like. I guess we had a great childhood with a lot of family and you want to try and do the same for them. WE WENT TO Moët & Chandon VIP marquee, Gold Coast Turf Club. WE ATE Crudo of kingfish with grapefruit, zest and pounded mint; Platter of oysters and prawns. WE DRANK Moët & Chandon Champagne. ZARA WORE a Vionnet dress, Christie Millinery hat, Oroton clutch, Jimmy Choo heels and Calleija jewellery. I WORE a Camilla and Marc dress and Nerida Winter hat. Love the boater! You both look fab.